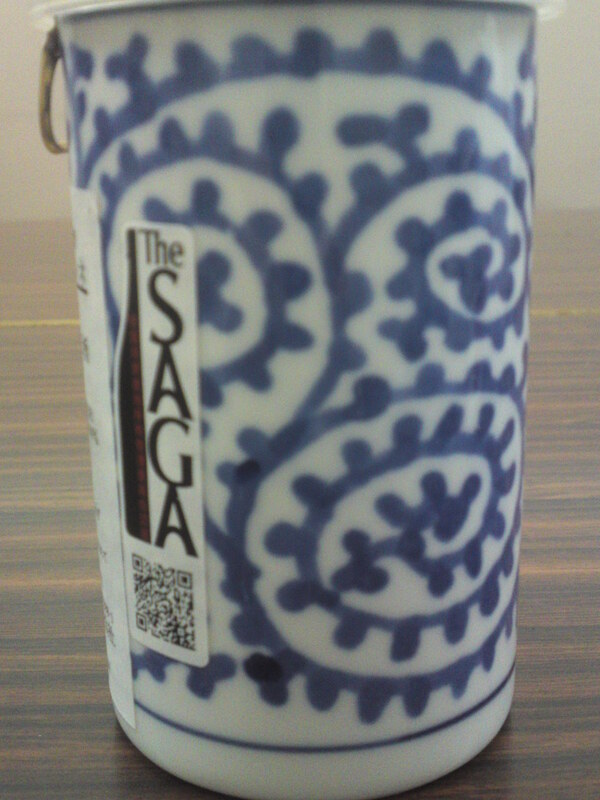 The other day once again thanks to her husband, my good friend Atsuko Kurata offered me this one cup sake from saga Prefecture! 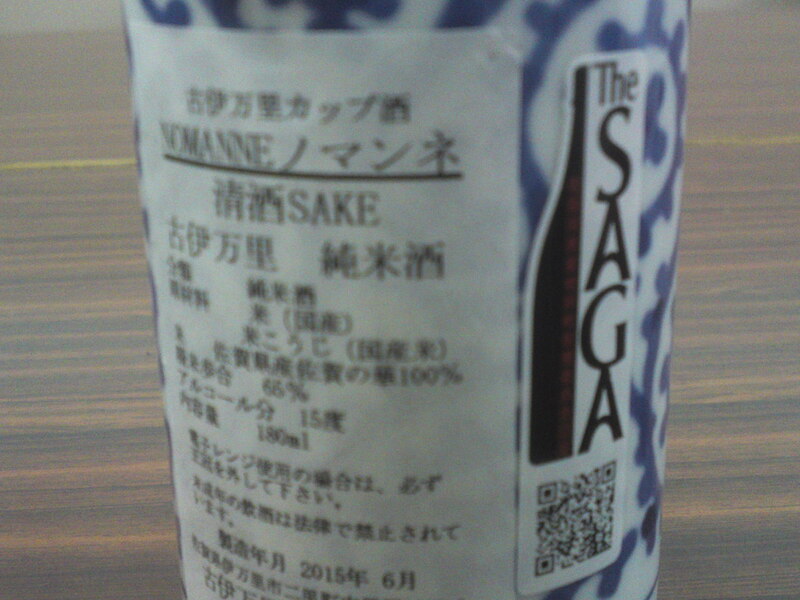 This particular sake brewed by Koimawari Brewery a junmai! 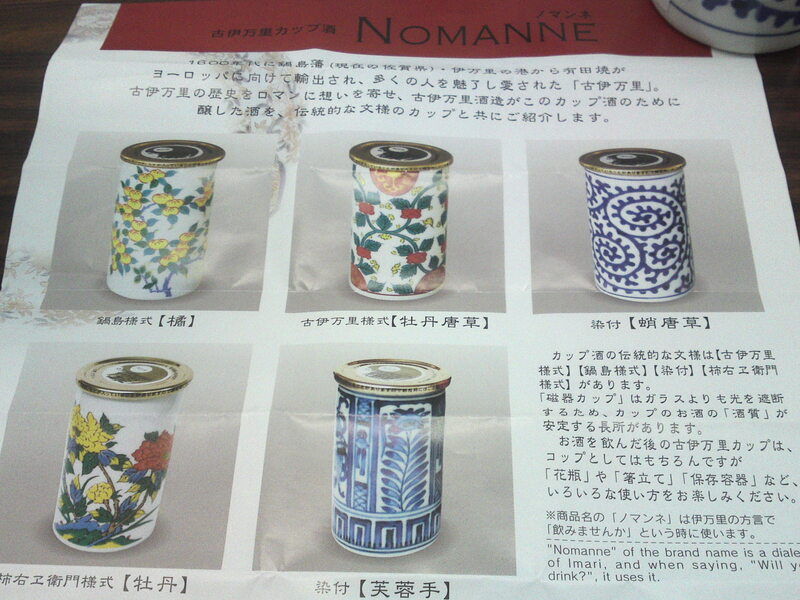 Koimawari is a world famous pottery created in saga Prefecture, Kyushu Island! Incredibly enough the brewery of the same name produces a special series of 5 one cup sake served in authentic koimawari pottery, all in different design! “Nomanne” stands for “let’s enjoy a drink” in local dialect! “The Saga” is an interesting pun referring to the name of the Prefecture! Taste: dry and very fruity attack backed up a little junmai petillant. Complex. Apples, pears, citruses with late hints of nuts and chestnuts. Varies little with but for a drier turn. Lingers for a little while before departing with more notes of dry citruses and dark chocolate. Overall: a charming and elegant sake. Should please of lovers of dry and fruity sake! Quite complex at room temperature. Would do well with cheese in particular! 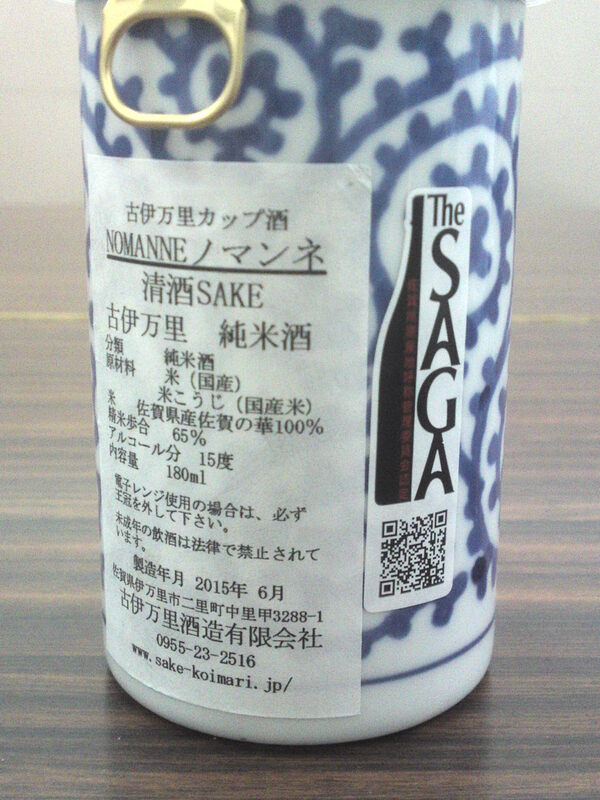 Not only a great pottery design but also a lovely sake!